Mission: To identify, develop and encourage visionary, business-oriented candidates with a commitment to cooperative government to run for local public office, and support them as they serve the community. BizPac is a non-partisan political action committee that endorses candidates in local elections only. These include Huntsville Mayor, Board of Education and City Council; Madison Mayor and City Council; and the Madison County Commission, Board of Education and Schools Superintendent. The BizPac Board invites ALL candidates running for these elected offices for an interview, and recommends endorsements and contributions to the full Committee of 100 membership for a vote. The BizPac Board is 17 members elected by and from the membership of the Committee of 100. The board members are diverse in businesses, political views, race, gender, age, and residence. The Board also includes four members of our Committee of 100 Young Professionals group. All members serve 2-year terms. BizPac takes great pride in the transparency of our endorsement process of local candidates. Committee of 100 members have input from start to finish in evaluating candidates and voting on each endorsement recommendation. The BizPac Board seeks to recruit and endorse candidates who are pro-business, have a long-term vision, and a collaborative spirit. 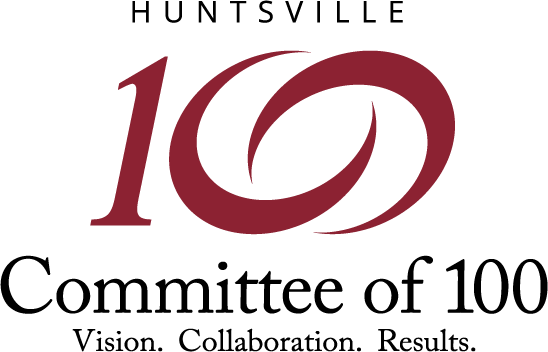 Committee of 100 members receive a survey on elected official satisfaction. Survey results are reviewed by the BizPac Board. Select districts/races are chosen for scientific polling by an outside, unbiased research firm. All candidates receive an in-depth written survey on a wide variety of economic, education, and local issues. All candidates are invited to an interview with the BizPac Board. The Board engages in thoughtful discussion and makes recommendations to the full membership for a vote on endorsements and contributions. Endorsed candidates meet and speak with the full membership at a quarterly membership meeting. Endorsed candidates may receive monetary contributions, polling data, and individual support from the membership. All endorsements are announced to news outlets and on social media. BizPac submits financial reports to the Alabama Secretary of State as required by the Alabama Fair Campaign Practices Act.